I feel like I have been up for days. 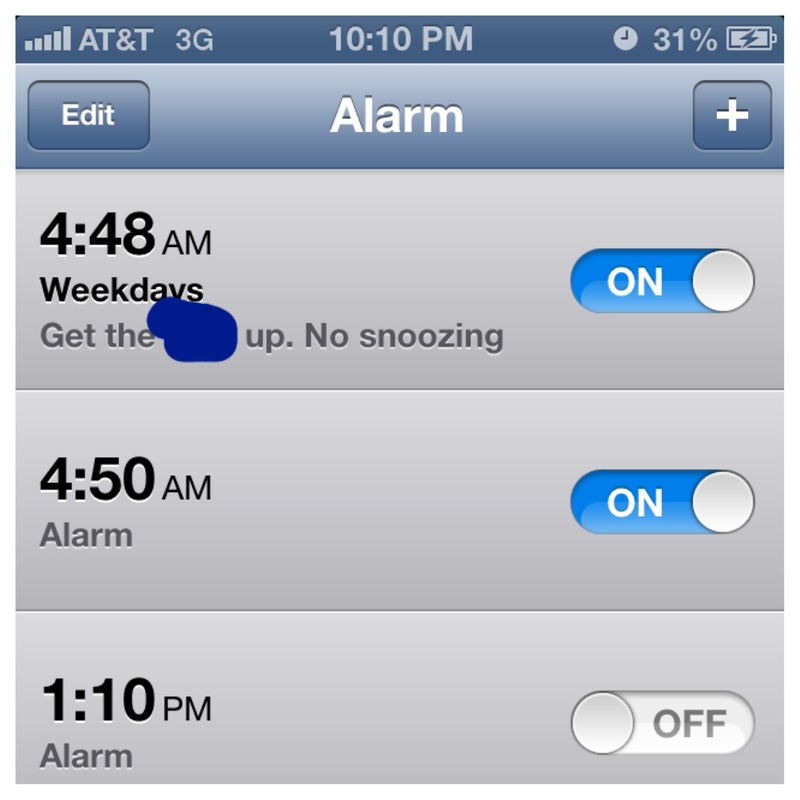 This morning I had to get up at the crack of dawn to go to my first CrossFit Basecamp Class. Luckily, I have today off from work so I can nap if I need to. Edited out the profanity my pre-5am mind needs to get me out of bed. I’ll be writing a whole post about my first week on Friday, but for now I’ll say that I am actually excited to wake up before 5am to go to the one on Wednesday. The box is fantastic, the coaches are informed and very sincere and I am super excited. 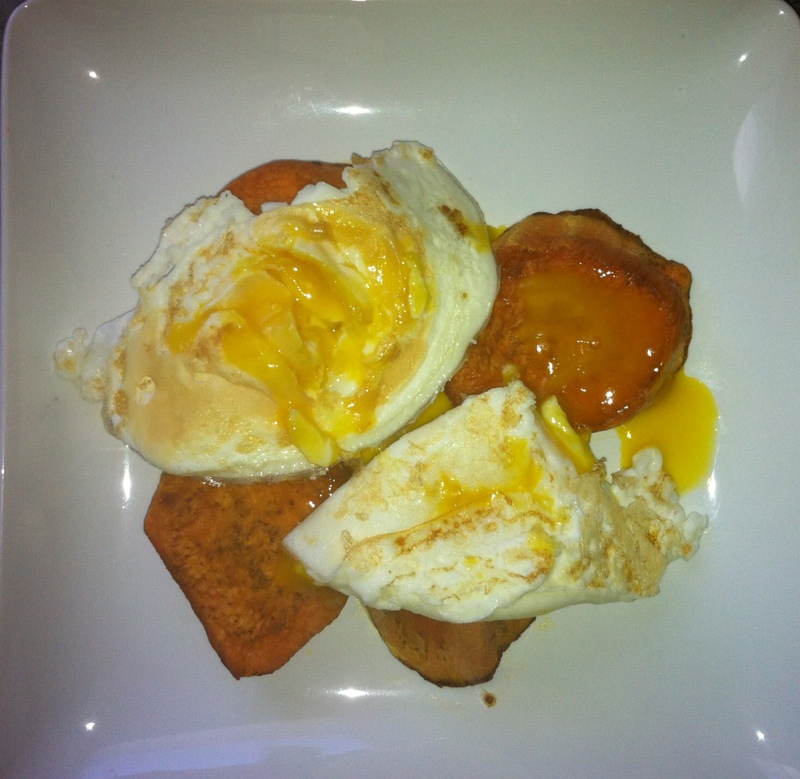 When I got back from my box I made a quick breakfast of some sunny side up eggs over some baked sweet potato. Delicious. Now for lunch I plan on making Spicy Mango Mahi Mahi. I’ve been on a real fish kick lately, so don’t be surprised if the next couple posts are all from the sea. 3) I always like to cook fish in tinfoil pouches because it heats thoroughly and it saves on the stinky fishy pans afterwards. So, take a sheet of tinfoil, place the fish on it. 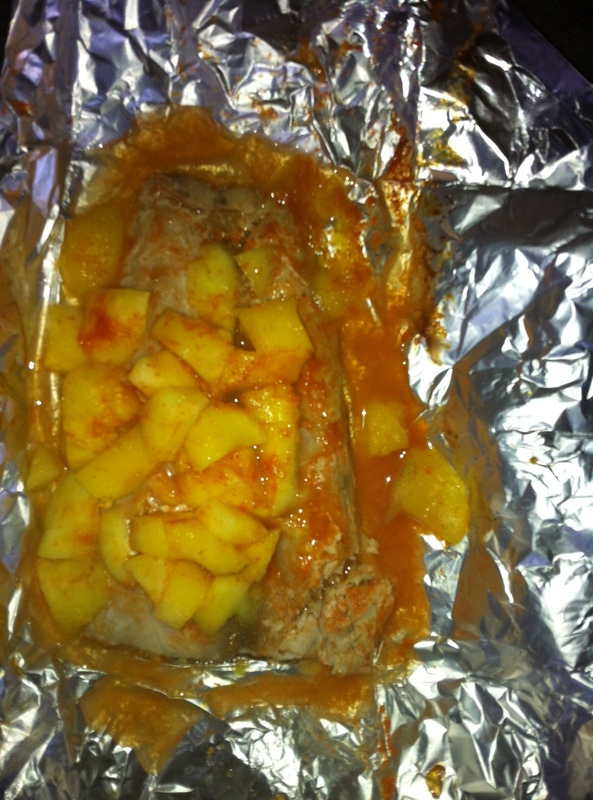 4) Pour sauce on top of the fish, and wrap the tinfoil around the fish to seal it shut. 5) Bake in oven for 15-25 minutes, depending on the thickness of your fish. Enjoy! This entry was posted in Paleo, Recipe and tagged CrossFit, diet, fish, Fit, fitfluential, Fitness, Healthy, meals, Recipe by fionaboger. Bookmark the permalink. That is an early start, you must be very dedicated! Great recipe and I’ve never tried eggs with sweet potato so thanks for the inspiration! The mahi mahi looks soooo GOOD!